Any pet lover knows that dogs love the feel and sound of “squeaky” toys, but enduring the high-pitched repetition in the wee hours of the night can drive any pet-parent crazy! Ultrasonic HEAR DOGGY!® toys are made with a squeaker ONLY your dog can hear! Hear Doggy! 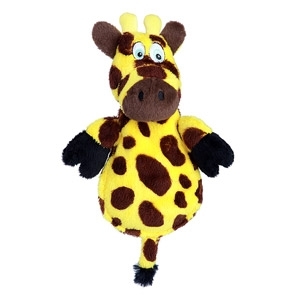 plush toys give your pet the same sensation and enjoyment of traditional squeaky toys without the irritating noise!